On thing I love about living in Atlanta is that you can be in the mountains in two hours and the beach in four. Georgia has a range of regions and they all have their season. 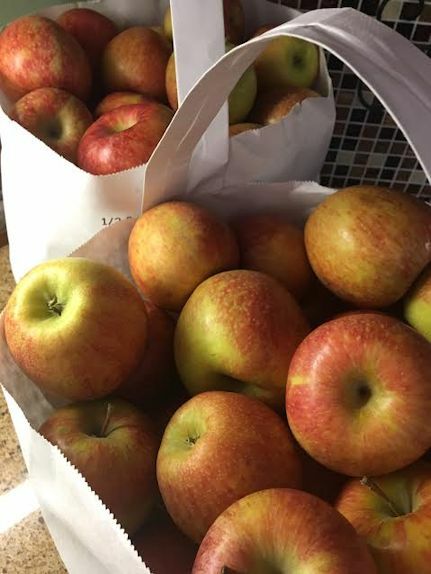 Right now is mountain season and apples! 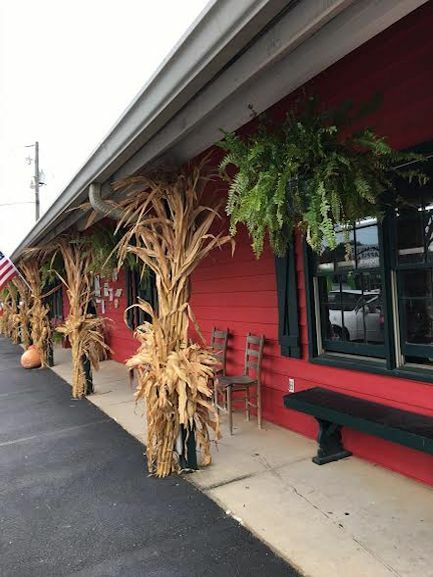 We went to Ellijay to load up on my favorites – apples, cider, fried pies, and a pumpkin or two. One of my favorite stops is Penland’s Orchard and Apple Barn. 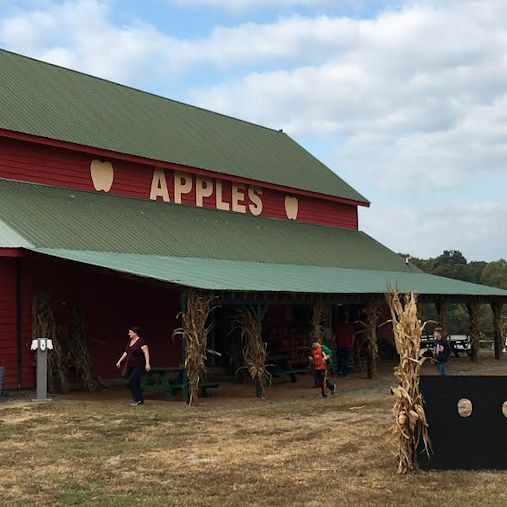 They are smaller than some of the other Apple Houses but their fried pies are the best and their apples seem to be a little better for some reason. Don’t buy the last corn shock on the right. Chupa may or may not have left a little present on it. Twice. Across the road is Panorama Apple House. Their cider is the best and they even have frozen slushie cider. It goes great with their apple cider doughnuts. 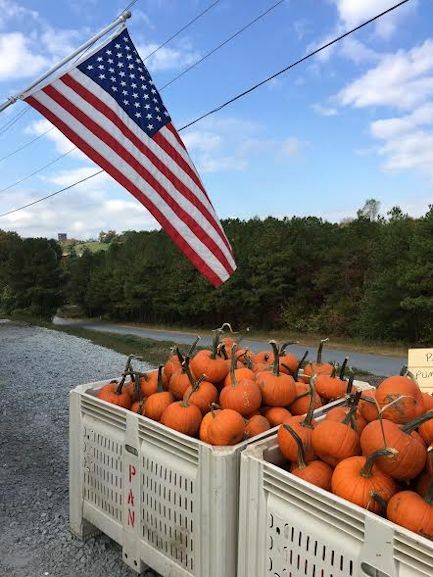 They also have lots and lots of pumpkins each year. This time I walked Chupa out back so he wouldn’t decide to leave another little gift on the pumpkins. 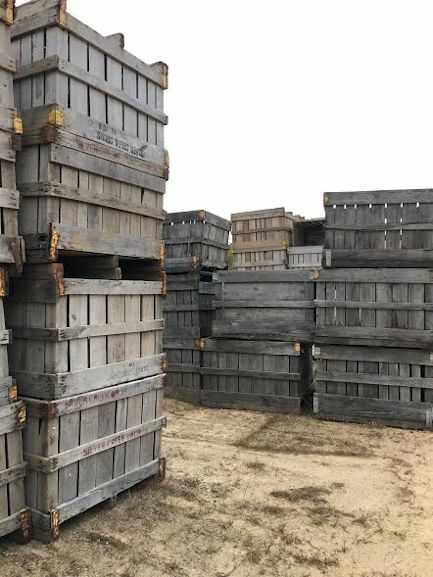 Behind the store is their stack of apple crates. I thought they were pretty with their faded gray wood. 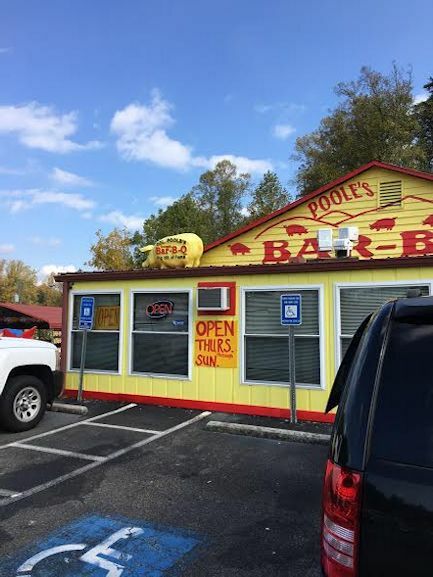 Our last stop before heading home was Col. Poole’s BBQ. 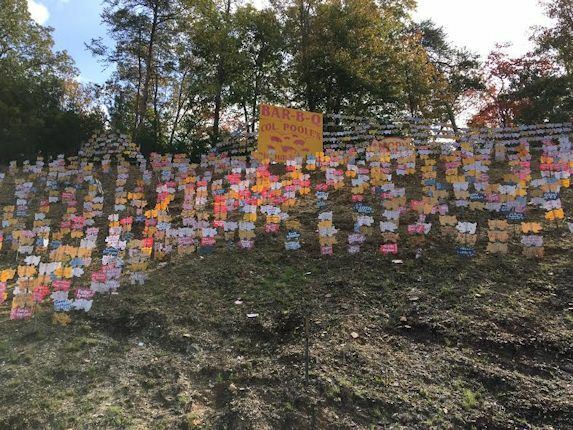 They have great Brunswick stew and charming pig signs on the hillside.You can buy them to personalize and I have done that for Davis and Olivia but I have yet to locate them. There are hundreds on the hill, out front, by the store, and everywhere! Now here is where I should include a recipe but so far all I’ve done is make one batch of applesauce and the rest have been eaten right out of the bag. I guess soon I’ll get creative but for now I’m enjoying them every day in my lunch. Don’t forget peach, cherry, blackberry, etc. cider. Thanks! My favorite apples this year are the Cameos. I bought a bushel of them and eat one a day! Thanks! I’m making soup tonight.